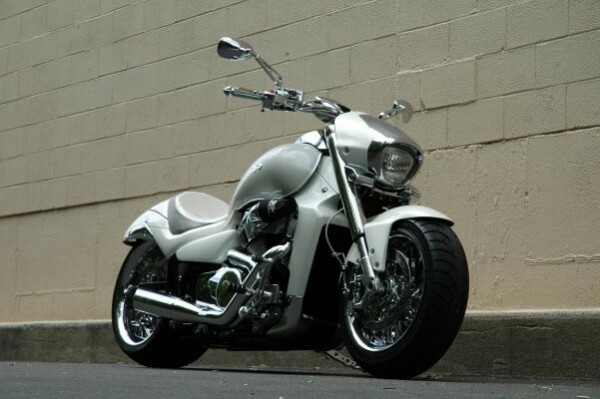 The mimic M109r front wheel is available in one of our custom twist front wide tire conversions which will run a fat tire up front without any mods to the bike. They are tight but they do fit and look badass! 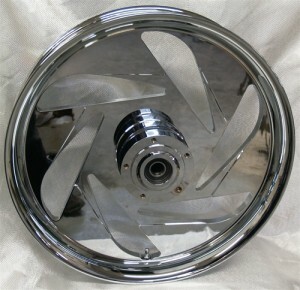 We can also provide you with mirror polished rotors or any other stock chrome oem parts you may need. 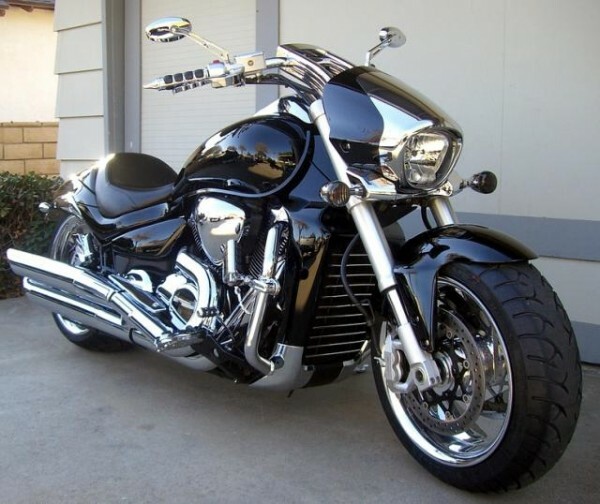 Check our gallery for more M109 pics. Here is our wide tire conversion.